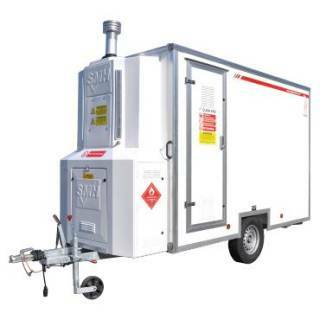 SMH’s Decontamination Units (DCUs) are trailer-based units which incorporate at least a three stage decontamination facility (1 x ‘clean’ area, 1 x shower area, 1 x ‘dirty’ area). They are specifically designed for use during the controlled removal of asbestos-containing materials (ACMs), and exceed the minimum design criteria for asbestos hygiene units as detailed in HSG247, Asbestos: the licensed contractors’ guide, as well as the requirements of the HSE’s Managing and Working with Asbestos: Control of Asbestos Regulations (CAR) 2012 Approved Code of Practice, Regulation 23. This high level of design makes them suitable for other environments where decontamination is required, for example construction or demolition sites where the work is particularly dirty or workers may potentially be exposed to toxic substances or potentially harmful dusts, such as silica, cement and wood dust. 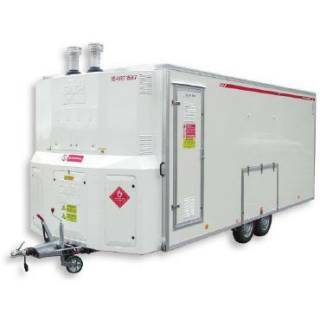 SMH DCU+ units provide mobile decontamination plus a variety of additional facilities, such as welfare or office space, and provide an ideal solution for sites where shower facilities are required only as an emergency support measure.